Just ten years ago, it was still futuristic to imagine a live video conversation with someone on the other side of the world. Now it’s an everyday miracle thanks to Skype. Like all technology, Skype is a tool. Its job is to help you communicate. However, not every part of a every tool serves you, your needs, or your goals. On the average day, I’m be merrily writing when a bright pop-up appears on my screen. 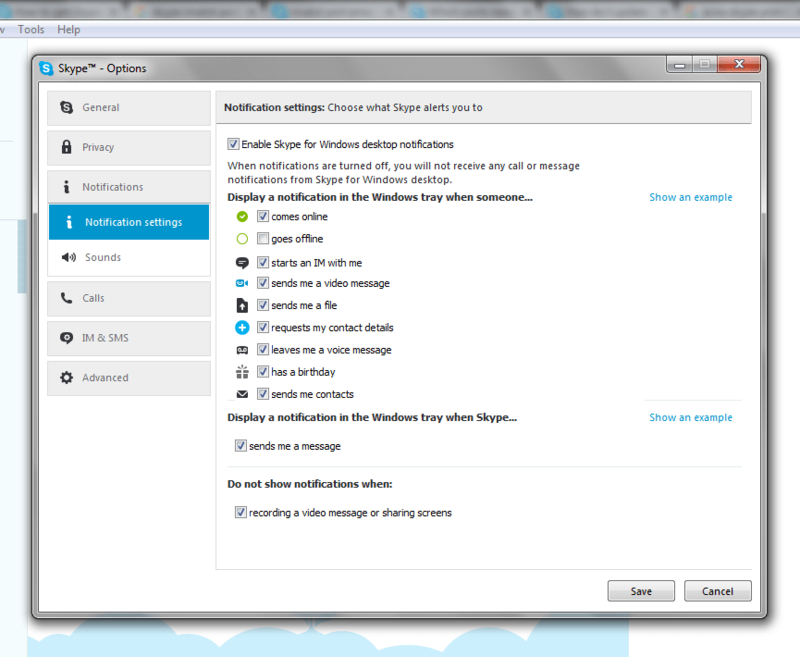 Looking to the lower right, I can see that so-and-so (in my contacts) is now logged into Skype. Suddenly, unconsciously, and instead of writing, I’m thinking about that person, how I know them, and processing a variety of emotions to their sudden appearance on my monitor. It happens so fast and subtly, but now I’m completely off-track. It takes me thirty seconds to remember what I was doing before the popup and get back to it. Like most online tools, Skype has all kinds of bells and whistles that interrupt you instead of help you. 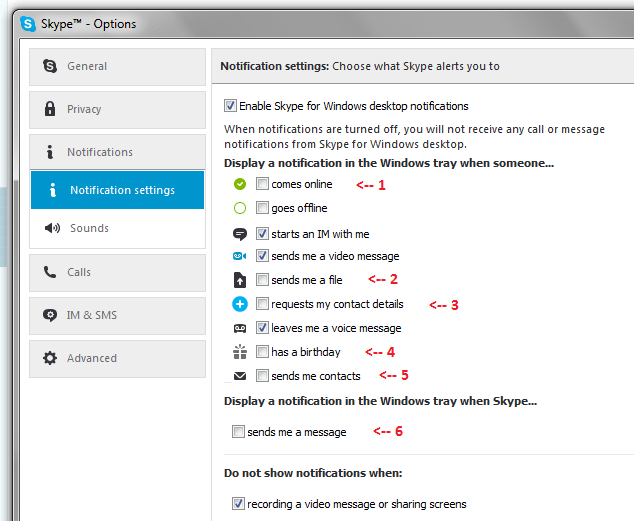 Alerts when someone in my contacts has signed into Skype. If you *need* any of these features, for heaven’s sake keep them. This is not a “should” or advice on what’s right for you. However. Just notice if Skype interrupts you from doing your normal, everyday activities online. If it does, you can turn off many (if not all) of the distracting, not-essential features. However, you can turn off distracting features and keep only the ones you like. I was able to remove SIX sources of distraction by editing my settings. It’s amazing to consider how many fewer interruptions this spares me! Be on the lookout for interrupting features of the tools you use every day. The fewer decisions you have to make each day, the more energy and creativity you have to spare for the stuff you love.